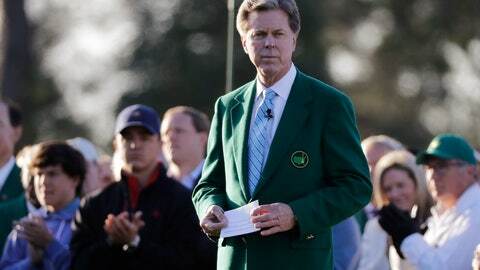 The club that hosts the Masters isn’t particularly known for its embrace of the new. The club agonizes over the slightest change to its course layout. Etiquette is paramount. History is revered. But this year tournament officials plan to have nearly all of the 20,000-plus shots available to view on its website in fairly close to real time. When the Masters began on Thursday morning, all the early shots — including Brandt Snedeker’s 27-foot putt on the opening hole for birdie — were viewable online within minutes. The tournament’s online trailblazing is mildly surprising because the in-person mystique of the Masters has always been a huge part of its charm. The throngs that walk the course in Augusta have often paid a small fortune to watch even the practice rounds. In a strange twist, they’ll be pretty much the only golf fans who can’t enjoy the new technology: Cell phones aren’t allowed on the course. Ridley said he doesn’t believe the tournament’s extra online features will detract from the live experience. The reason they weren’t ready isn’t entirely clear: The club is secretive about pretty much everything that happens in its real or digital world. Still, it’s fairly obvious it’s a prodigious undertaking. The Masters Digital wing takes up a sizable chunk of the media center and the room was buzzing with dozens of workers. The new technology was tested one final time during the inaugural Augusta Women’s Amateur tournament last week. The increased video is the most obvious new feature. Users would conceivably be able to watch a player’s round in a fraction of the time it takes to watch a full round, getting an unprecedented view at how players navigate the course from the first tee to Amen Corner to the uphill dogleg right finale on No. 18. The only time shots might not be captured is situations with difficult lies or if a group’s shots end up in vastly different locations. Ridley called it an “extensive library of content” that could be particularly useful during the first and second rounds when someone unexpected makes a charge up the leaderboard and TV isn’t capturing every move. The new technology might not beat standing under the Georgia sunshine watching the world’s best players, but for the golf fans who can’t be here, it’s a potentially big upgrade in how they experience the tournament.